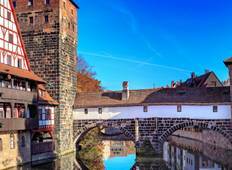 Find a Bicycle trip that explores Germany. There are 19 tours to choose from, that range in length from 5 days up to 11 days. The most popular month for these tours is July, which has the most tour departures. "This was the first time visiting Europe for my husband and I, and the bike tour along..."
"Trip was good in many ways. Would like better written instructions for self-guided..."
"This was such a great urban adventure and a brilliant way to take in Berlin. I had..."
"Best trip I've ever been on. 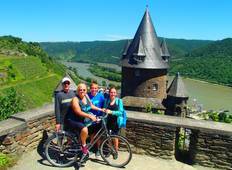 Biking through Germany was a great way to see everything..."